Ashleigh from Bee In Our Bonnet and Callye from The Sweet Adventures of Sugarbelle have teamed up to make some Pinterest inspired cookies. 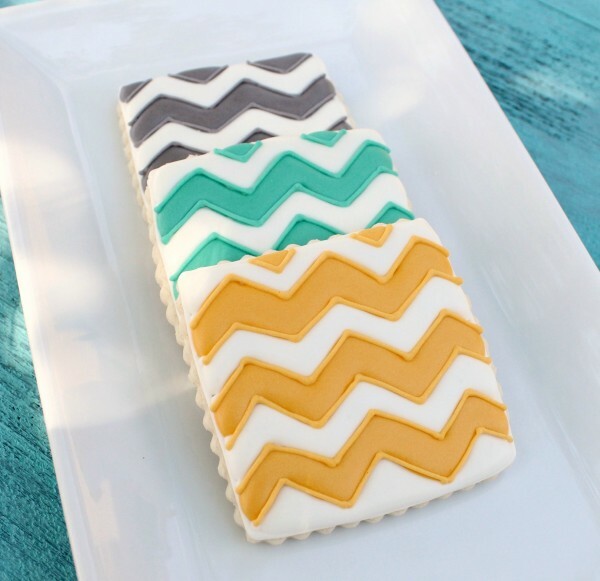 Ashleigh made gorgeous quatrefoil cookies and callye created these fun chevron cookies. I think my piping skills need a little practice first, but how gorgeous would these be in orange with black quatrefoil for Halloween. 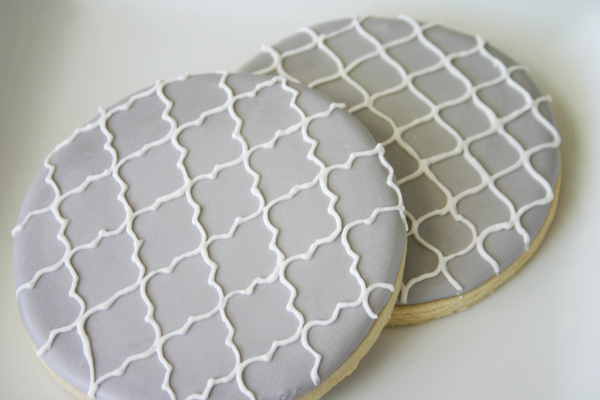 You can check out the quatrefoil cookie tutorial HERE and the chevron cookie tutorial HERE. Hey Lorie! Thanks for the shout out! And that is a fabulous idea to do them in orange and black for Halloween! I may just have to try that out! Double thanks! I am here for my weekly catchup, and I got a nice smile! Thanks Lorie!! !